The textures are PNG, why would you try to change their format...? Remove the space between the . and the *. I had encountered this problem too. They got downloaded as a .tga for some reason and were labelled as Paint.NET files with no preview thumbnail. Oh I see, thanks, had no idea if the space was supposed to be there or not. I was referring to the observed framerate drop in the editor. Ah well I didn't even notice that. I lose like 2 frames with it on. Oh right, sorry, yeah they're TGA. Keep them that way. For a large complex mesh like my drydock, I get 7 fps with shadows on, 13 fps with them off. Oh, I thought it could be .jpg, thanks. Really though thats understandable though I haven't tried your drydock yet, will definitely see how that goes. Even on less complex ships like the colony ship I just made I still get 17 fps with shadows, 28 without, which again is not an insubstantial hit. 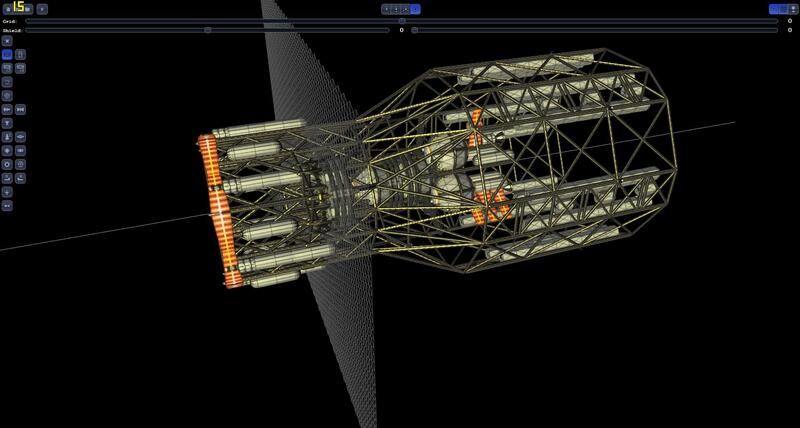 - Replaced export to .obj with export to native SpaceEngine .sm file format. This solves problem with tangents and incorrect bump mapping. Export to .obj is still available in extended toolbar, that can be shown by clicking on "plus" button in top-right corner. But you should use it only for import in Third-party editors like Max, Maya or Blender. So, you could reexport your ships to remove problem with bump. - Also, I have slightly changed camera rotation. Now it tries to rotate around point on view line, closest to main axis. If it fails to find this point, it will try to rotate around projection of coordinates center onto view line. And if this point is behind the camera, it will rotate around itself. - Web-version will be updated automatically. - "Lazy" downloadable version must be redownloaded completely. * download only sc-editor.nw (3 times smaller, then "lazy" version). * or update 3 files inside sc-editor.nw (it's a zip archive), that can be get from web version: index.html, js/editor.js, js/camera_control.js. Very nice. Great work, SHW! Oh that's why it tends to produce lots of metallic glints off of surfaces? Thanks for fixing up the camera rotation so that it's less fidgety. I am loving this tool! thank you! The editor seems to have difficulties saving very large ships. Really like this editor. I think it should be the definitive editor for the game. It makes the ship editting really easy , but also it has a problem. Sometimes, when you save a ship, it creates a 0kb file and you lose it. 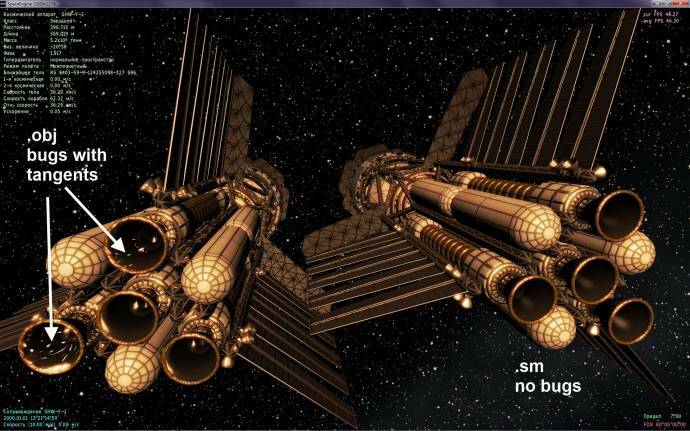 It havent been a problem because I made 6 or 7 ships and it only happened the first time, when I put 10 pices together only to test, and I didn't worry for the lost model, but today I lost a really big ship like 1000 x 800 meters, that I had been three days working on , so I think this should be improved because people don't lose more ships in the future. Thanks.